Located on the Elbow Beach Hotel property on South Shore Road in Paget, Elbow Beach Cycles is the only company on the island to rent advanced pedelec hybrid electric bicycles. 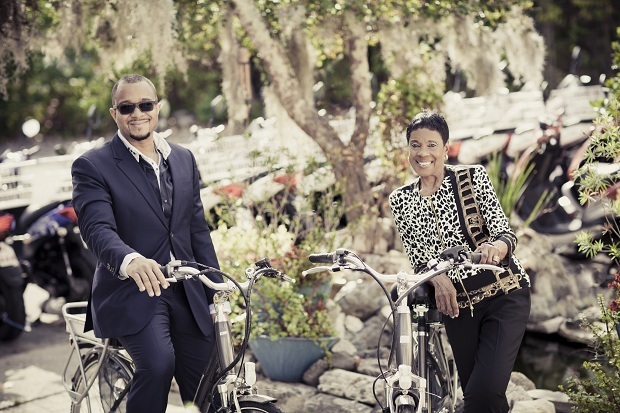 "We are thrilled to be able to offer hybrid electric bicycles for rent as they really do offer the best of both worlds," said Dudley Thomas, Director-At-Large & VP Business Development of Elbow Beach Cycles. 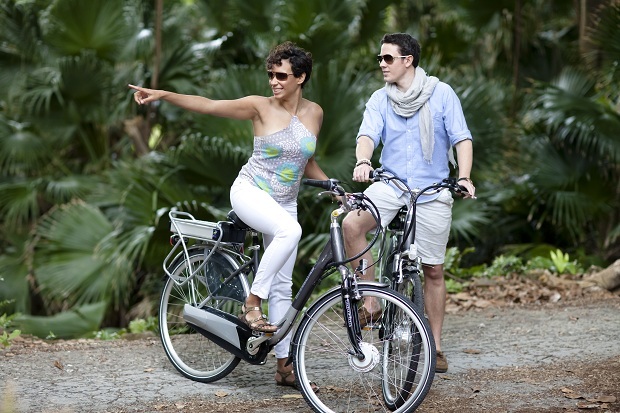 "Riders enjoy all the advantages of a regular bicycle including fun, exercise and zero emissions, but when they get tired or could use help getting up the steep hills in Bermuda, the Freedom bikes provide the extra power needed to make the ride comfortable. "In addition to those people who want a fun way to tour the island, these bikes are great for people who are just starting out an exercise programme or those who want to get exercise on the way to the office without working up a sweat." Elbow Beach Cycles offers a wide range of rental options for the two hybrid electric bicycle models it carries – the Freedom and the Freedom Sport – for the same price as its traditional pedal bikes, which start at $29 for three hours and go up to $395 per month. The Freedom line of hybrid electric bicycles operates in various modes. Riders may choose to pedal only, or they may choose the power magnification mode in which the bicycle provides enough power to help the rider pedal more easily no matter how hard he is working, and if the rider is not pedaling at all, the power shuts off to save on battery usage. In this mode, riders can also choose the assistance level – low, medium or high. In addition, there is a power on demand mode in which the bicycles offer a separate throttle that turns on the power and can run the bicycle with no pedaling at all. "These bikes are meant to be pedaled normally with the motor used as a backup to help out on hills and in headwinds or to just make riding easier overall," said Mr. Thomas. "The experience is entirely different from riding a gas scooter or motorbike. Here the electric assistance is perfectly smooth and silent, and it complements rather than supplants human power. Plus, by removing the grumble of the engine, it intensifies the rider's experience in that you can take in the sights and sounds of this beautiful island." Depending on how much power is used, the Freedom bicycles can run for up to 64 kilometres on one charge. Elbow Beach Cycles operates a Run and Replace system in which guests pay a nominal flat fee for unlimited replacement batteries. Every day they can stop by the shop for a recharged battery or customers may also rent extra batteries and charging units for a small fee. "Our bikes have ultra-high-capacity batteries that last a long time and require very little time to charge," said Mr. Thomas. "Also, we chose top European supplier, TXED Bikes, because the bikes are intelligent, innovative, energy efficient and environmentally friendly, and they look really good. "They are stylish and sleek. All the equipment to power the bike, including the front hub motor, is integrated within the frame of the bike so it's neat and nothing is exposed." In addition to benefits for the rider, hybrid electric bicycles are also easy on the environment. In comparison to taking a car or some other gas-powered vehicle, these human-powered vehicles with electric-assist operate for just pennies of electricity per charge and with no carbon dioxide emissions or other pollutants. "Purchasing these hybrid electric bicycles is part of a larger green initiative at Elbow Beach Cycles," said Mr. Thomas. "We are constantly looking for ways to lessen our carbon footprint including implementing paperless billing and invoicing, reducing consumables and transitioning to a data server that runs on clean power." Both Freedom hybrid electric bicycle models are unisex. The Freedom hybrid electric bike is designed for leisure riding on varied terrain and the Freedom Sport is more appropriate on road riding. As safety is top priority, all riders who rent bicycles at Elbow Beach Cycles will be provided with a helmet as well as an instruction lesson on operating the cycles.